Friday to take advantage of our limited availability, great value offer. Click here to book. butterflies and orangutans. Click here to download the menu. a soft drink and Activity Pack for the kids. - No menu substitutes or cash substitute available, none transferrable. - The package cannot be split and must be used the same day as your theatre tickets. Donaldson and Axel Scheffler’s STICK MAN returns to Leicester Square Theatre! wants to play fetch with him, a swan builds a nest with him, and he even ends up on a fire! imprint of Scholastic Children’s Books. Square for last minute and discount theatre tickets. ask the expert team for advice on what to see. exclusive interviews for top London shows. Looking to discover some seriously adventurous things to do outdoors? Go Ape offer outdoor experiences and activities across 33 locations UK wide. Including four (soon to be five) sites in London. From zip wires, to super-springy trampoline nets in the trees, to off-road Segways, we have an adventure for everyone. So, if you’re looking to get the blood pumping, take on a challenge, or just have fun with your Tribe, a day of unforgettable action, laughter, and achievement awaits. Who will you share adventure with? 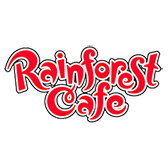 Rainforest Cafe is very pleased to be able to offer our customers an exclusive code for a 10% discount on Tree Top Adventures! 2-3 hours of daring ropes course challenges, stomach-churning swings and electrifying zip wires. Complete with heights of up to 30 metres, prepare yourself for a day of blood-pumping high rope activities that are sure to test your nerve. Bring friends, family, loved ones, or colleagues and enjoy a tree climbing adventure like no other. If you’re a little nervous, or new to the Tarzan-inspired world of tree top climbing, rest assured that our friendly Tribe are at hand to fully prepare you and spur you on - go for it! Go Ape Tree Top Junior is a jam-packed hour of wobbly bridges, intricate crossings and an awesome zip wire finale. It's designed with the whole family in mind. The perfect high ropes course for kids as well as mum, dad and the grandparents. If you're looking for family fuelled fun, challenge each other to see who can cross the tree tops in style – we’re talking backwards, no hands, the works! Are you ready? Let's do it. Calling all Explorers! We are very excited to have joined forces with SEA LIFE London to offer a ‘KIDS GO FREE’ voucher after dining with us. What an exciting day out, to dine in a Jungle then head to SEA LIFE London and continue your adventure. Just a 20 minute walk from the Rainforest Cafe or a 12 minute tube journey! At SEA LIFE London you can come face to fangs with creepy crawlies in their pop up displays and nose to jaw with our curious crocodiles on a spine-tingling journey through the brand new Rainforest Adventure. Are you ready to #BraveTheBugs? · The Kids Go Free at SEA LIFE London offer entitles customers to one free child ticket for every one fully priced adult ticket purchased at SEA LIFE London Aquarium. The voucher is valid with a Rainforest Cafe receipt. · The Attractions reserve the right in their absolute discretion to refuse entry and to close and/or alter all or any part of the facilities including closure of rides and/or attractions and removal of figures for technical, operational, health and safety or other reasons including over-capacity. · On weekends and during busy periods buggies may not be able to be taken on the tour and must be stored in the buggy parking area. · All Attraction information is subject to change; please check the attraction website below before your visit for the latest information. Features and/or creatures shown on the page are not necessarily available at the attractions. SIGN UP TO OUR MONTHLY NEWSLETTER HERE TO KEEP UP TO DATE WITH OUR LATEST COMPETITIONS AND SPECIAL OFFERS.